July 2018 – OpenTech Alliance, Inc.
(Phoenix, AZ – July 18, 2018 OpenTech Alliance, the leading developer of innovative technology solutions for the self-storage industry announced Public Storage, the world’s largest self storage operator with over 2,375 facilities, is implementing OpenTech’s cloud based property access control solution, INSOMNIAC CIA, at 850 locations. This is the first of many smart-connected solutions built on OpenTech’s IoE Platform. OpenTech’s IoE platform was developed internally by OpenTech exclusively for the self-storage industry. The IoE platform is open so it can work with all kinds of devices such as kiosks, robots, video door bells, thermostats, lighting, cameras, Bluetooth wireless unit locks, drones, water flow meters and valves, and even the popular Alexa. The integration does not stop at devices, it also integrates with other software programs like property management systems, mobile apps, and call centers. “We enjoy partnering with large operators to develop innovate solutions for the entire industry. 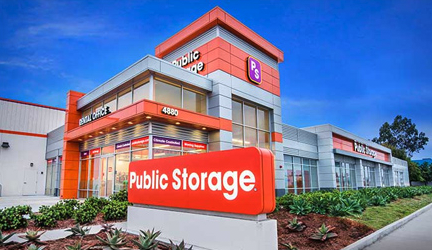 Our goal is to be a self-storage operator’s innovation partner and that is what Public Storage was looking for. Their requirements included the highest level of security, scalability, and openness at the lowest cost, so we are sure other operators are going to be happy with what we have developed”, stated Robert A Chiti, OpenTech President and CEO. Industry leading customer support so operators to talk directly with a technician whenever they need help. Full product warranty including damage from lightning. Software subscription for the OpenTech IoE Control Center so operators can customize the technology to meet their needs as well as provide an instant overview of the status of all properties in their portfolio. The IoE Control Center includes an enterprise data store, business analytics, and a customizable notification service. Storage Genie, a comprehensive mobile app that gives tenants a hands-free method of opening the gate, making payments, contacting the facility, and much more without requiring the facility to setup static IP addresses or open ports on their network. 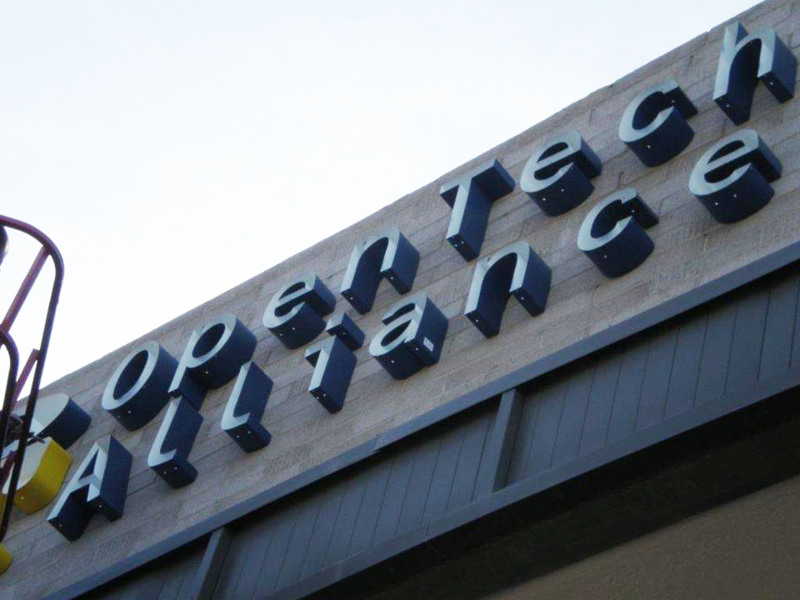 More information on the OpenTech solutions can be found at www.opentechalliance.com or by calling 602.749.9370. July 7, 2018 – Phoenix, AZ – OpenTech Alliance, Inc. has reached a new milestone this July, celebrating its’ 15th year in business. The company has grown from garage startup into a thriving technology company with over 200 employees and thousands of customers across North America. Today, OpenTech is the largest self-service kiosk provider, operates the largest call center in the industry, manages the largest online auction website in the industry, and has most recently launched the industry’s first smart access control system based on the OpenTech IoE platform which is rapidly replacing old PC-based solutions. In July of 2003, Robert Chiti, Mike Connolly and Davin Dameron drew up plans to develop and market a self-service kiosk, designed to bring the benefits of automation to the booming self-storage industry. OpenTech was initially conceived as a provider of “open” technology solutions that would integrate with and complement other vendors’ systems and technologies. Adhering to this philosophy, OpenTech has since grown into a highly-respected leader and multi-faceted technology solutions provider for the industry. “Our growth strategy is based on three pillars; Internal Innovation, Acquisitions, Partnerships. So far, the plan is working pretty well’, added Chiti. July 9th, 2018 – Phoenix, AZ – StorageTreasures, LLC, the owner of StorageTreasures.com, the storage industry’s leading online auction platform, announced it has acquired StorageStuff.Bid, a well-respected competing online storage auction site. As part of the transaction Cheli and Chris Rosa, both seasoned auctioneers and employees of StorageStuff.Bid, will join OpenTech Alliance, Inc., managers of StorageTreasures.com and majority stakeholder of Storage Treasures, LLC. Founded in 2010, StorageTreasures offers the most comprehensive self-storage auction platform available on the internet. In addition to storage auction hunters, the site serves auctioneers, appraisers, pickers, yard sale buyers, self-storage customers, and facility owners throughout the US and Canada. OpenTech Alliance, Inc. owns a majority of StorageTreasures, LLC and manages StorageTreasures.com. OpenTech Alliance, Inc. is the leading developer of innovative technology solutions for the self storage industry. The company’s products and services include the INSOMNIAC line of self serve kiosks , INSOMNIAC Live! call center , INSOMNIAC CIA access control system and StorageTreasures.com online storage auctions. OpenTech solutions are designed to improve the customer experience, reduce operating costs and increase revenues for self-storage facilities.